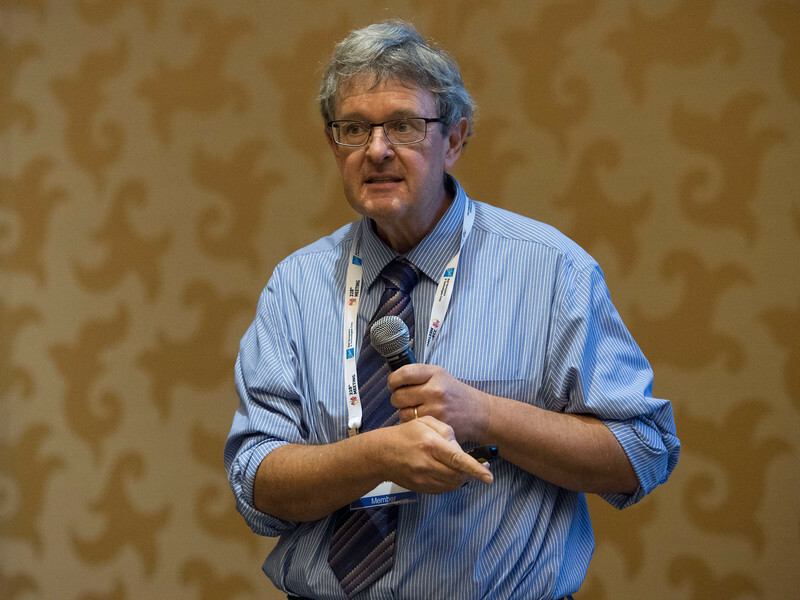 San Diego, CA - AAS 2016 - Peter Beiersdorfer during the LAD Prize Lecture, Bridging Laboratory & Astrophysics: Atomic, Nuclear, & Particles Physics in X‐rays at the American Astronomical Society's 228th meeting at the Hilton San Diego Bayfront hotel in June 2016, Wednesday June 15, 2016. The AAS, established in 1899 and based in Washington, DC, is the major organization of professional astronomers in North America. More than 650 astronomers, educators, industry representatives, and journalists are spending the week in San Diego to discuss the latest findings from across the universe. Photo by Phil McCarten, © 2016 American Astronomical Society.